Ahead of the Uttar Pradesh assembly elections, a BJP poster made news for showing Yogi Adityanath riding a tiger and other parties’ leaders riding a donkey each. 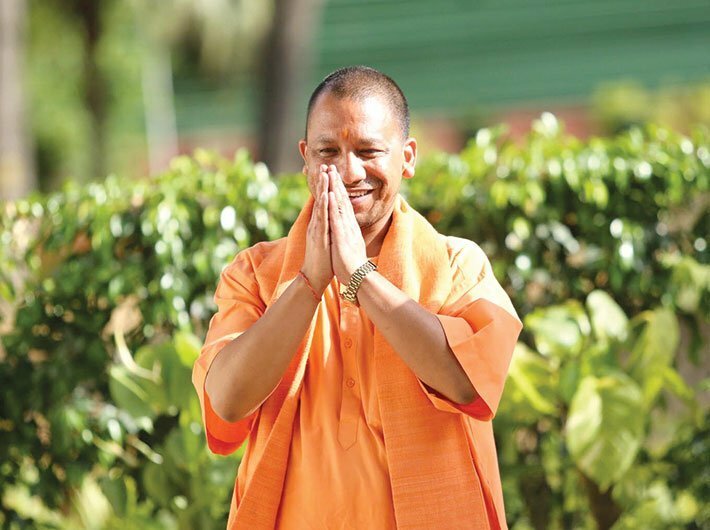 Yogi’s fondness for tigers is well known, but in hindsight, the chief minister seems to be riding a metaphorical tiger – and does not know how to get off its back. The tiger here is the utter disregard for rule of law, masquerading as populist machoism. Yogi is largely perceived as a saffron-garbed politician who used to have scant regard for law of the land in the past. Now he is the chief minister, but his past image remains undiluted. 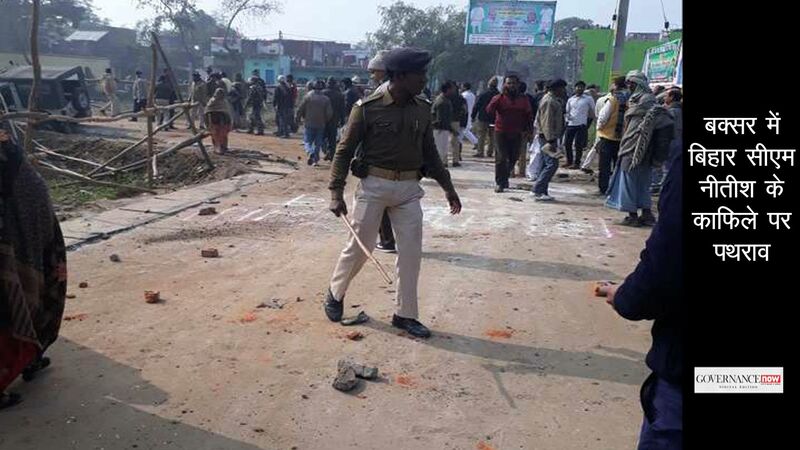 The killing of police inspector Subodh Kumar Singh in mob frenzy in Bulandshahr on Monday is nothing but a corollary to the utter lawlessness Yogi’s governance has unleashed. If you look at the manner in which the fearless inspector was lynched by a hate mob, you will find a pattern that is once again indicative of criminalisation of governance and depraved political culture. Singh was killed for doing his duty. He was brave enough to stand up to the blood-thirsty goons who camouflaged themselves as gau rakshaks (cow protectors) to create disturbance in the communally sensitive district of Bulandshahr. Trying to pacify the crowd, he found himself surrounded by criminals. His colleagues deserted him, leaving him to fend for himself. Is this story new? No, not in Uttar Pradesh. In recent years, it has often happened that a police officer honestly and courageously doing his duty found himself in a tricky situation, deserted by his force, breathing his last in utter humiliation. In 2016, an additional superintendent of police and a station house officer (SHO) were killed by members of a criminalised religious sect, which was patronised by a section of Samajwadi Party (then in power). The two men in uniform were trying to restore order when they were dragged away by members of the sect and killed in cold blood. Since the sect leaders claimed to have political patronage of a big SP leader, policemen accompanying the officers meekly ran away to safety. In 2013, in Kunda area of Pratapgarh district (represented in the state assembly by formidable political strongman Raghuraj Pratap Singh alias Raja Bhaiyya), deputy superintendent of police Zia Ul Haq was dragged inside a village and killed by a group of people known to be close to the leader. The policemen accompanying the officer thought it wise to save their own lives, leaving him at the mercy of the murderers. The subsequent investigation and arrest of some of the accused proved to be a timid affair. This shameful incident also took place when the Samajwadi Party was in power and Akhilesh Yadav was the chief minister. Akhilesh as well as his predecessors, Mayawati and Mulayam Singh Yadav, have been known to give law and order a short shrift – indeed encourage lawlessness and patronize musclemen. The state earned a reputation as a basket case for long. That is why people had high hopes from Yogi. Perhaps nobody was better placed than Yogi to purge the state from a culture of politics and administration bordering on abject lawlessness. When he came to power after the assembly election of 2017, he had an unprecedented mandate and full endorsement of prime minister Narendra Modi. In sharp contrast to Akhilesh, Mulayam and Mayawati whose names have been mentions in scandals and corruption, Yogi enjoyed a clean reputation in this regard. However, his biggest handicap was the image of an impetuous communal leader who is not averse to taking law in his hand through his band of supporters who had floated a private militia called Hindu Yuva Vahini. In Gorakhpur, Mau and Azamgarh, they were known for running amuck on the issues pertaining to Hindu-Muslim conflicts. Apparently Yogi in his role as the chief minister pandered to this beast of lawlessness instead of containing it. Just after his swearing in, there was a spike in the membership of the Hindu Yuva Vahini across the state. Realising that the outfit may cause serious trouble, Yogi disbanded it. These supporters then became cow vigilantes and started running parallel administration in many parts of the state, particularly in communally sensitive districts. 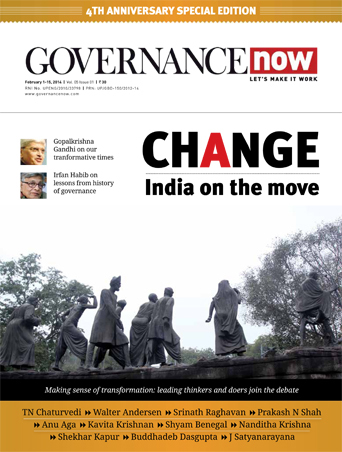 But what appears to be the ultimate folly is Yogi’s endorsement of a culture of governance in which rule of law is expedient to the political objective. For instance, his chest-thumping approval of the state police that has launched a “killing spree” by staging encounters with “criminals” has completely delegitimised governance. In people’s imagination, he appears to be a sequel to his predecessors and a protector of their depraved legacy. The only difference is that the lawlessness has only worsened. In today’s context, ‘law of jungle’ will be a euphemism for lawlessness in the country’s largest state. Yogi, who still presides over the Gorakhnath Peeth, the biggest temporal seat of the Nath sampradaya, is a spiritually trained believer in karmic laws that sustain the worldly order. So, he should know well the universal law of karma: You reap what you sow.